Welcome to our documents download page. Here you will find our brochures, certificates, policies and forms. 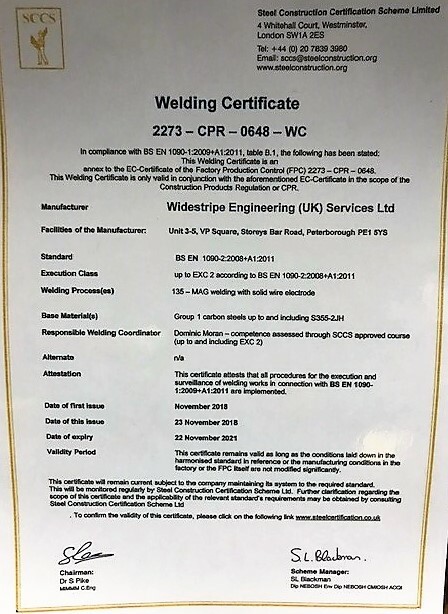 Widestripe Employers Liability Insurance Certificate. Contractors Combinded Policy Schedule 16 pages. Widestripe & MiniFleet Motor Insurance. Copyright © 2008 WIDESTRIPE ENGINEERING (UK) SERVICES LTD. and its licensors. All rights reserved. 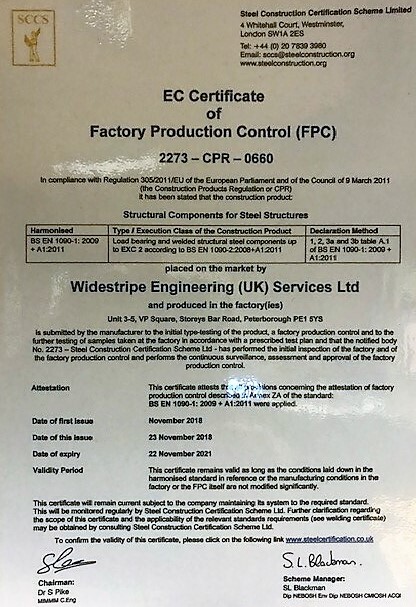 WIDESTRIPE ENGINEERING (UK) SERVICES LTD. is registered in England. Registered Office: UNIT 3 & 5, V.P. SQUARE, STOREYS BAR ROAD, PETERBOROUGH, CAMBRIDGESHIRE, PE1 5YS. Company Registered No. 3588077. VAT No. 716 7301 46.